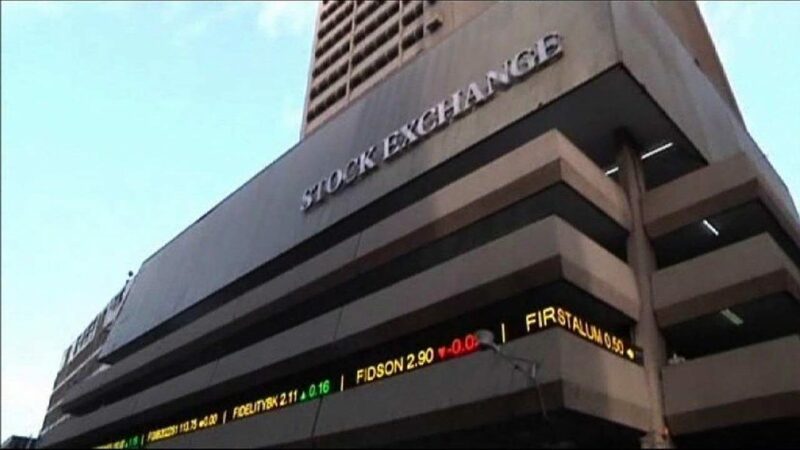 Renewed sell off in the shares of many highly capitalised negatively impacted transactions on the Nigerian Stock Exchange (NSE) yesterday, as market capitalisation dropped by N10 billion. Yesterday, the All-Share Index (ASI) shed 27.26 absolute points, representing a decline of 0.08 per cent to close at 32,417.70 points. Also, the market capitalisation declined by N10 billion to close at N11.835 trillion. The downturn was impacted by losses recorded in medium and large capitalised stocks, amongst which are; Unilever Nigeria, Nigerian Breweries, International Breweries, Northern Nigeria Flour Mills (NNFM) and Presco. Market breadth closed on the negative side, with 20 gainers versus 21 losers. Cornerstone Insurance recorded the highest price gain of 10 per cent, to close at 22 kobo, per share. Cadbury Nigeria followed with a gain of 6.74 per cent to close at N10.30, while Chemical and Allied Products (CAP) rose by 5.45 per cent to close at N30, per share. Dangote Flour appreciated by 5.26 per cent to close at N8, while Royal Exchange went up by five per cent to close at 21 kobo per share. On the other hand, Union Diagnostic & Clinical Services led the losers’ chart by 9.68 per cent, to close at 28 kobo, per share, while First Aluminium and RT Briscoe trailed with a loss of 9.52 per cent each, to close at 38 kobo each, per share. NNFM depreciated by 9.23 per cent to close at N5.90, while Linkage Assurance shed 8.57 per cent to close at 64 kobo, per share. However, activity level strengthened as volume and value traded rose 189.53 per cent and 9.4 per cent to 349.5 million units and N1.46 billion respectively. Transactions in the shares of Royal Exchange topped the activity chart with 231.65 million shares valued at N48.65 million. FCMB Groups followed with 26.22 million shares worth N44.61 million, while Guaranty Trust Bank traded 12.29 million shares valued at N450.19 million. Fidelity Bank traded 11.37 million shares valued at N20.64 million, while Zenith Bank transacted 6.62 million shares worth N144.9 million.